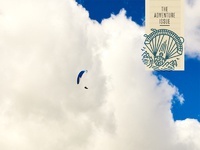 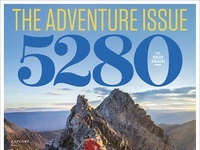 Next in the series of small stamp icons for 5280 Magazine Adventure Issue was the Paraglider Pete Thompson "Wingin' It" article, and while there is no way I would ever attempt something like this even over water, I did get to imagine it just for a short time while making this one. 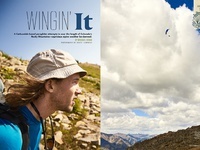 Click here to watch the video of Pete's First-Ever Attempt to Paraglide the Length of Colorado’s Rockies or Click here to read the whole article online. - Tron.